One afternoon while strolling on the town’s downtown mall I saw a seabird drinking from a water fountain in-between a group of Victorian buildings. Voila! 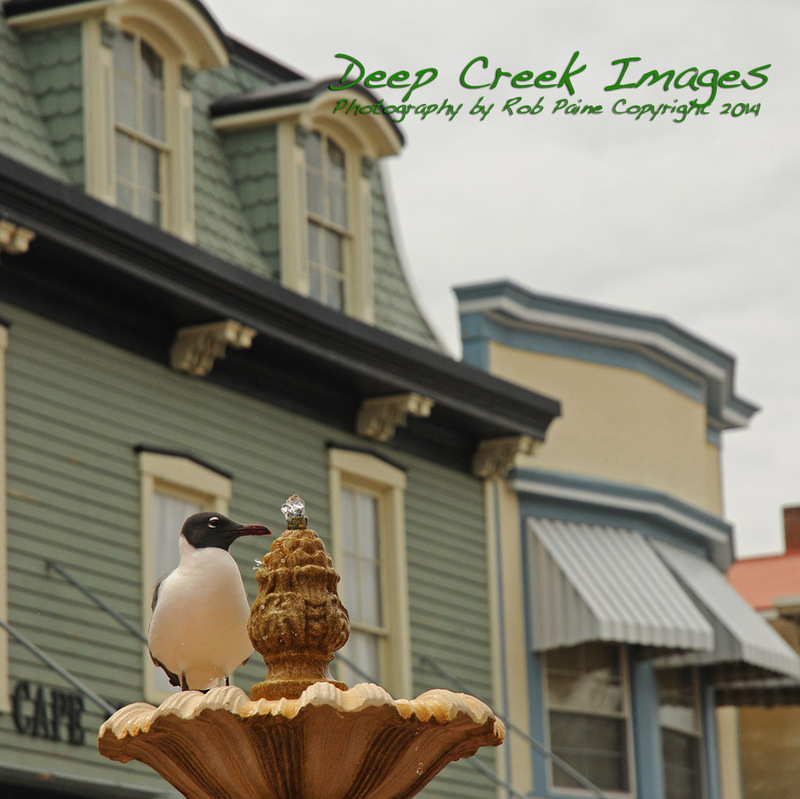 With some selective composition I was able to frame the bird with some of the well known architectural features the Cape May Historic District has to offer.